Please note: Árpád has left the "Economics" group at Duke University; some info here might not be up to date. 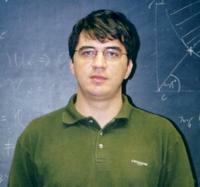 Professor Árpád Ábrahám joined Duke in the fall of 2002 after receiving his Ph.D. in Economics from Pompeu Fabra University in Barcelona, Spain. Previously, he held a research positions in the Institute of Economics of the Hungarian Academy of Sciences between 1994 and 1996 and at London Business School between 2000 and 2002. His research covers different fields of macroeconomic theory. One stream of Professor Ábrahám's current research is on extensions of the optimal social insurance literature to models where agents have access to a hidden credit markets. He also works on models where borrowing or portfolio constraints are endogenized by allowing agents to default on their debt.